Blogging Software as a Disruptive Publishing Tool — Is There Anything It Can’t Do? In the time it takes an infant to become a kindergartner, blogging software has grown from backwater platforms for shame-ridden indulgences to some of today’s most vibrant publishing infrastructures purveying some of our society’s most compelling content. With projections that the Huffington Post may soon be larger than the New York Times (projections that, while mathematically unlikely, still have a striking plausibility to them), blogs have begun to fulfill their potential. Along the way, blogging software has become extremely sophisticated. What’s perhaps most interesting is that blogging software has begun to encroach on other platforms and practices, and in some surprising ways. WordPress powers an amazing variety of media solutions, from the Scholarly Kitchen to the New York Times to areas of CNN, People magazine, and other major media properties. Part of the appeal of blogging software is that a lot can be done with it quickly. At the New England Journal of Medicine, two time-sensitive centers — one for H1N1 and another for health care reform — were started in days rather than months using WordPress, and each supports tens of thousands of users without a problem. Like most blogging platforms, WordPress has an amazing platform architecture that allows for a public version for immense scalability, private versions for deep customizability, and seamless upgrades for endless viability. If “disruption” is defined as “making familiar things in new, cheaper, more efficient ways while kicking incumbents out,” blogging platforms like WordPress and Movable Type are potentially very disruptive for expensive content management, content rendering, and online publishing platforms. Both WordPress and Movable Type offer social media solutions. They offer polling. They offer video and audio integrations. existing plugins and plugin suites already achieve much of what would be wanted in a WordPress-based book publishing system. The Book Oven team is planning on writing plugins for WordPress to complete their vision for using WordPress as a platform, and the path seems clear and unencumbered. It will just take a little cleverness and elbow grease. We’re undergoing a revolution in software, manufacturing, sales, marketing, and distribution which is so profound it makes your head spin. Barriers of scarcity are disappearing at the press, in distribution, and elsewhere. The supply chain for ultra-niche publishing on a meaningful scale is nearly complete. And the software platforms needed to do these things — once proprietary, expensive, and complex — are becoming open, free, and easy to use. Non-profit and scholarly publishers need to think carefully about their platform and content management choices. Financial viability in online publishing will largely be about mitigating fixed costs. Blogging platforms offer a powerful option for publishers seeking to shed expensive and over-engineered solutions. They also offer these advantages to new entrants like BookOven. Technology won’t be a differentiator for long. If I were running a company catering to scholarly publishers’ software or distribution needs — whether for books or journals — I’d make sure my services and marketing capabilities are up to snuff. Otherwise, I might feel like my doom is just a plug-in away. 12 Thoughts on "Blogging Software as a Disruptive Publishing Tool — Is There Anything It Can’t Do?" 1) How many books have you read that were adapted from a blog? More importantly, were any of them any good? The few I’ve read have been dreadful, usually one or two ideas stretched out over the course of 200 pages or so. Things that work well for a brief daily blog entry have a hard time sustaining a book. 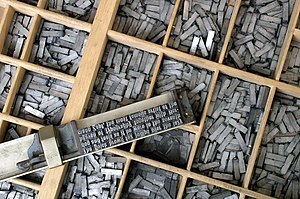 2) New technologies like this may replace the use of other technologies for assembling text into book form, but they don’t replace the other parts of that process. As Charlie Stross notes, “a mansucript is not a book”. Can’t you compete by offering a higher quality product than an author can produce on his own? 3) What happens to all of those disruptive blogs when they finally reach a tipping point and all the established old media goes away? The vast majority of those blogs are based on re-posting stories from the established media. If there are no news agencies writing stories and doing the actual journalism, what will those blogs write about? Where will their content come from? Isn’t their disruptive nature likely to lead to their own demise? John Battelle’s famous book about Google started out as a blog, and was written collaboratively as a blog, I believe. “Julie & Julia” (book, then movie) started as a blog. A manuscript is not a book, but so what? Stross’ conceits lie in the land of scarcity. The writing group I’m part of, Backword Books, created a series of interviews, author-on-author, and then we put together a Word file and published it on Smashwords as a free e-book. We’ve distributed a few hundred this way. It’s a very interesting read if you’re interested in how literary authors work. If you’re not, you don’t need to bother. But the age of dependently suckling at the teat of scarcity, as Rory Sutherland might have us imagine it, is going away. We can actually participate in information agriculture and, lo, even cooking our own information meals! I honestly don’t understand your last point. This post was about how blogging software (not the “blog” content form) is becoming superbly capable of supporting publishing infrastructures. Traditional media outlets use it ferociously (NYTimes and others, as noted in the post). It supports journalism if you’re a journalist. “Blogs” in the sense of the content form do amplify and distribute existing information, but a lot of that is published via platforms that started out as blogging software but are morphing into more robust publishing platforms. I guess the question then about those books you mention is how many of them went through a professional editor? Perhaps I don’t understand your point, but I thought you were getting at the idea that WordPress makes it easy to write a blog and convert that into book form, and that authors could then cut the publishers out of the process. My point was that as a reader, I’m happy with individual blog posts, but I’m unlikely to read 2-300 pages of those posts in one sitting and be as satisfied with it as I am a book that has been put together by a skilled author as part of a skilled team. In summary, while it’s true that the author is the one with the creative input, they only do about half the work. And the other half of the job is not optional. The reason publishers exist is to provide for division of labour; if I did the other 50% to bring my rough manuscripts up to published-book-quality, I’d only be able to write half as many novels. And yes, it does provide an easy means for you to produce your own book and give it away for free to 100 people. That’s great. But I’m not sure you can make a living doing that. I’m willing to bet that if you were paid lavishly for your work on that project and you could do it with 100% of your time as part of a superbly skilled team, the end product would have been superior to what you cobbled together. Point 3 spoke more to your introductory paragraph, about how things like the Huffington Post have the potential to surpass traditional media outlets in terms of readership, and the linked article talks a lot about how they’re “disruptive”. My question was that if that happens, and the blogs put all the traditional sources out of business, then where will the blogs turn for content, since the vast majority of what they write is either commentary on or links to traditional media outlets. Not the point of your post in general, but something that jumped into my brain on reading the intro and the link. Yes, you’re right, those books went through professional editors. They are vital to the process of creating mainstream, commercially viable books, but not to the process of making niche-market, commercially viable books (smaller market segments, smaller dollars). If I made an e-book of Scholarly Kitchen posts available for $0.99, I bet I could sell a few dozen, even a couple of hundred. But the money wouldn’t be the point necessarily. From a reader standpoint, the nice part would be in having a collection to peruse. That said, one of the powers of blogging platforms is in the tagging. Feeds can be exported and imported based on tags. So, imagine if someone wanted to make a professionally edited book of the Scholarly Kitchen’s posts. They could, conceivably, edit selected posts, tag them in some manner, and then export posts with selected tags into a book system. In fact, multiple books could be made in this manner (“The Scholarly Kitchen Cooks Up Disruption,” “The Scholarly Kitchen Goes Into the Open (Access),” or “The Scholarly Kitchen’s Private Recipes — The Age of Facebook”). With print-on-demand, the costs of creating these books are virtually zero, since nothing would be created until something was ordered. This was my point about ultra-niche publishing. To your last point, the Huffington Post knows it’s beholden to mainstream media, and is bootstrapping its way out of that dependence. Not only does it pay a host of star bloggers for original content and support freelancers, it also has started funding investigative journalism ventures. And so it goes. Fair enough. Then if the goal is ultra-niche publishing you have to compete by either 1) staying out of the market and instead offering high quality and providing added value beyond a simple system like this, or 2) you compete on volume, using your infrastructure to put out massive quantities of projects like these (a subject you’ve discussed in some other areas in earlier posts, business models based around low effort and high volume). As for the Huff Post, is there a point where, when they start paying reporters a salary and they have their own news bureau, that they stop being a blog and start being a traditional media outlet? Other than the means of delivery, what’s the difference at that point between them and a newspaper (and note that there are some newspapers that are already all electronic)? They are already a traditional media outlet. They just use blogging software. Oh, and the New York Times uses blogging software, too. Don’t mistake the platform with the output. Blogging software is capable of supporting traditional publishing ventures. For books I can see how this would work – but scholarly journal publishing is, I think, a step too far. Plenty of high profile commentators have voiced frustrations at their inability to find a one box solution to journal publishing. And I have personally used some open source journal publishing software, and can speak form experience when I say that even for simple products, the software is nowhere near good enough. Also I don’t think the price difference between open source and custom is actually that huge. When you use open source software, you still need a large team of developers to keep things working (and you will typically have to pay over market rate to attract them to what is technically a maintenance project). Although you can start publishing straight away, things will go wrong, and you may find solutions to be very costly. I am very excited about using WordPress as a content management system for book content. The fact that WordPress was originally created for “blogs” is immaterial. We are working with a publisher who publishes scholarly multi-author books on history. Very high level of copy editing and content editing. They have been sending Word files back and forth and management has been a nightmare. Discussing solutions together, we set up a WordPress installation. Each author’s submission is a “blog post”. They generate and edit online (or copy from Word if they want). As soon as they have finished, the admin changes permissions so a copy editor only can see the manuscript. Author queries are put in as comments, etc. Even after two weeks, it has been an amazing success. WordPress does all the management. By using tags, one click shows all files that are with authors, etc. At the final stage, the typesetter (us or another party) gets authorization to take files. WordPress exports xhtml, which can be transformed to any xml, then goes to anything including pdf. I am finding this development very exciting. It does not mean publishers are cut out, but that they can manage projects more easily, and without locking themselves into a proprietary system. I am surprised how few people in publishing use or understand how efficient writing a book in the WordPress platform is. For those that want to use Word as a front end, you can easily do that, however, the organization ability of WordPress is extremely helpful for both writing and sharing a book. The blog application is just a technology. One does not have to have a public blog in order to use blogging software for book writing. The writing blog can be completely private.